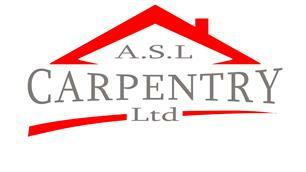 ASL Carpentry & Construction Ltd - Builder, Carpenter based in Crawley Down, West Sussex. Based in Crawley Down, we are a trustworthy, reliable, friendly and professional company with over 15 years experience. Being a smaller company we are able to offer a personal & bespoke service to suit your needs. With the added factor of knowing you will be liasing with me. As well as offering a carpentry & joinery service we also offer a project management service to make your construction projects run as smoothly as possible. Having worked locally for so many years I always make sure any sub contractors that work alongside me maintain the high standards that we always guarantee. For a free no obligation quote please feel free to contact me.